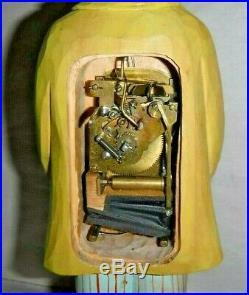 Vintage German Whistler Carved Nodder Automaton Karl Griesbaum Black Americana. 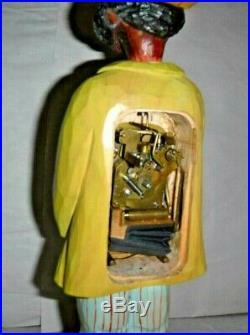 Mechanical Musical figure, whistles and moves it head from side-to-side. 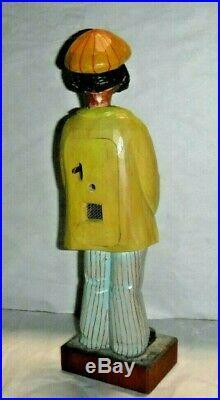 Carved and painted wood figure with articulated head, barrel clockwork movement, whistle and bellows. 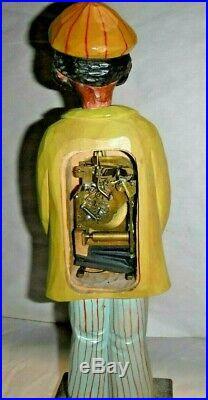 The figure turns his head while he whistles a tune (the tune is generated by the internal bellows). The item "Vintage German Whistler Carved Nodder Automaton Karl Griesbaum Black Americana" is in sale since Monday, April 15, 2019. This item is in the category "Collectibles\Decorative Collectibles\Music Boxes\1940-1970"." and is located in Phoenixville, Pennsylvania. This item can be shipped worldwide.